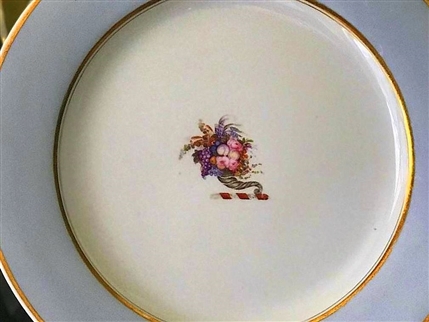 A superb English crested plate with a finely painted and coloured cornucopia. Excellent condition. Measures approx 9.5 Inches wide.